4K TV Enhanced - When played on a 4K TV, God of War outputs in a dynamic 4K resolution achieved through a stunning 2160p checkerboard. HD TV Enhanced - 1080p HD TV players will benefit from increased image clarity via the supersampling of a higher 4K resolution onto their display. HDR Compatible - Players with HDR displays can experience God of War with HDR lighting and a wide color gamut. 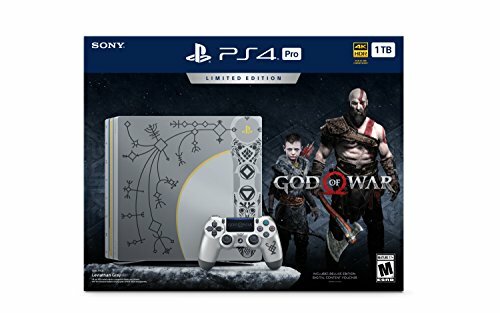 Includes a fully customized PS4 Pro console inspired by Kratos's Axe, a Leviathan Gray DUALSHOCK 4 controller with insignia, God of War game on Blu-Ray disc, and digital content.